Srinagar, Feb 12 (UNI) A soldier was martyred and another was injured in an encounter with militants which ensued between militants and security forces during Cordon and Search Operation (CASO) in south Kashmir district of Pulwama on Tuesday morning, official sources said. Meanwhile, authorities suspended mobile internet service in Pulwama. 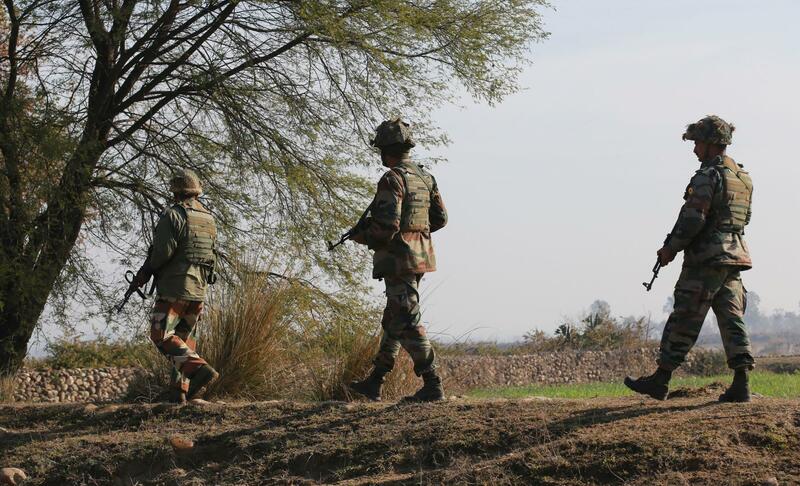 They said troops of Special Operation Group (SOG) of Jammu and Kashmir police, Rashtriya Rifles (RR) and CRPF launched a joint search operation at 0300 hrs at Ratnipora in Pulwama following a tip-off about the presence of militants. A police spokesman said encounter was going on when the reports last came in. Recently five militants of Hizbul Mujahideen (HM) were killed in a fierce encounter in Kulgam district of south Kashmir.